The nation has embraced condominium communities as well as the “lock and leave trend” in the last few years for a myriad of reasons. No longer are they viewed as just the downsizing efforts of retirees. Features like shopping and dining amenities, walkability or bikeability, and the convenience of a resort-like lifestyle, have opened the market to include a variety of homebuyers. And though there are intricacies of buying a condo that should be considered beforehand, condo-mania has no intention of losing speed anytime soon, according to Fortune Builders. Phoenix is one of the cities seeing a surge of condo communities with new designs that appeal to millennials. Builders are integrating high-tech features with energy-efficient systems into residences. Residential locations are focused on transit options as well as proximity to restaurants and shopping, allowing fluidity between living spaces. And modern designs and art installations have become more prevalent as millennials take more interest in seeing their living spaces livened up with artistic works than previous generations. Converted warehouses or factory buildings with minimal interior walls and higher ceilings, as described by HGTV, are also in demand, especially those located in the city’s urban center. Phoenix has several main neighborhoods where loft condos are thriving, and each area provides individual characteristics and vibes. Neighborhoods.com has put together a guide to three of the most popular neighborhoods for loft condos: The Biltmore, Midtown, and Downtown Phoenix. Between 24th and 32nd street and north of Camelback Road, is the upscale residential neighborhood and financial district known as The Biltmore. Clustered with high-end shopping, dining, and entertainment, the area is an eclectic blend of people living in one of the most historic areas of Phoenix. In both condos and estate-sized homes, housing styles are diverse. Anchored by the Arizona Biltmore Hotel and built in 1928, the distinctive architecture was one of the earliest creations of Frank Lloyd Wright and has become an inspiration for landmark hotels around the world. During the day, the area is laid-back thanks to Granada Park on the northwest edge of the neighborhood. Expect to see the area lively with residents out walking their dogs, riding bikes, or out for a run. However, the neighborhood isn’t brimming with residents. This area is a tourist hotspot, and visitors typically outnumber residents on any given day. 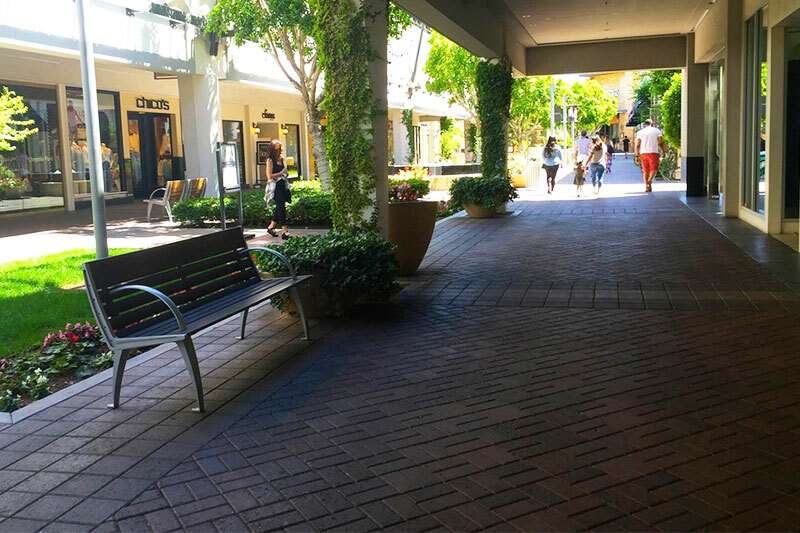 Shoppers flock to Biltmore Fashion Park, the ultimate in boutique shopping experience with high-end retailers. The nightlife is sophisticated with no shortage of fine dining or casual options in the area. Morton's Steakhouse and The Gladly are renowned restaurants, and lounges like the Merc Bar exude upscale living with a swanky interior and candle-lit atmosphere. Though the neighborhood has a variety of condominium options with new communities being added, including Contour on Campbell, those seeking lofts will want to look at The Biltmore Loft Condominiums. The edgy and modern lofts feature oversized windows, high ceilings, and stucco exteriors with metal industrial accents. All three-bedroom models range between 1,888 to 2,189 square feet and have a median sales price of $474,750. Though it lacks high ceilings, Optima Biltmore offers loft-style units in one-, two-, and three-bedroom floor plans, with sizes ranging from 862 to 2,665 square feet. Each home is fitted with a contemporary kitchen, large bedrooms, and private balconies. Amenities include underground parking, a 24-hour fitness center, on-site concierge, and a rooftop pool and spa. Just north of Downtown Phoenix, Midtown is an exciting mix of historic homes, chic restaurants, beautiful greenspaces, and culturally vibrant institutions. Expanding west and east of Central Avenue, this neighborhood offers it all, including easy access to museums, arts venues, sports arenas, and some of the best coffee shops and restaurants the Valley of the Sun has to offer. 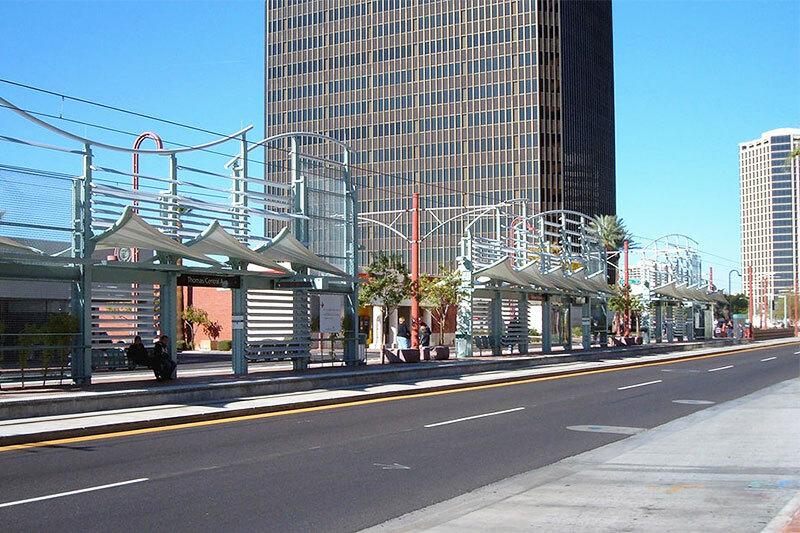 With a growing list of “hot” new coffee shops, restaurants, and businesses, people from all over the Valley take advantage of the light rail running along Central Avenue to enjoy all that Midtown has to offer. It’s as much a hub for the cosmopolitan as it is for the free-spirited, and the area celebrates the local culture by way of music, the arts, commerce, entertainment, and innovation. A number of restaurants can be found throughout the various neighborhoods with newer restaurants among the older staples, from St. Francis the family-owned neighborhood favorite to the upscale red-velvet seating at Durant’s. And the bars provide everything from trendy lounges with retro games, like Linger Longer Lounge, to an elegant evening out. There aremany options for high-density residential living in Midtown and several communities offer loft-style living. Artisan Lofts on Central is a condo building in the heart of the museum district featuring contemporary loft spaces with roof decks or large balconies. Located right on the light rail line, residents have access to downtown within minutes. Homebuyers can find units priced between $275,000 and $432,500. Artisan Lofts Condominiums are perfect for those seeking the low-maintenance lifestyle of a condominium. This condo community features one- and two-story residential lofts that range in size from 1,201 to 4,211 square feet with prices between $210,000 to $350,000. Located across from the Phoenix Country Club, the community is one-of-a-kind in that no two homes were designed alike in their finishes. In general, homes in One Lexington are priced from $239,900 to $685,000 and range between 734 to 2,268 square feet. This community offers spacious high-end condominiums accompanied by top-notch amenities and scenic city views. Directly across from a light rail stop, this ideal location allows residents quick access to all that Phoenix has to offer. Palm Lane Urban Living Condominiums is a gated community consisting of modern townhome-style lofts with one- and two-bedroom floorplans ranging between 1,499 to 1,626 square feet. Steel and wire stair casings as well as exposed concrete block construction add to the modern appeal. Homes are typically priced between $279,000 to $333,000. Lofts on Thomas is a luxury loft-style condominium community featuring amenities like a yoga and meditation studio and a 24-hour fitness center. Homes feature open floorplans with contemporary kitchens and walk-in closets. Prices range between $165,000 and $275,000 and offer from 665 to 1,356 square feet of living space. Beadle View Row Lofts is a loft-style townhome community offering two-bedroom floorplans ranging from 2,180 to 2,250 square feet. Attached two-car garages and private front yard entries with contemporary finishes add to the modern features, and the homes are priced in the high $400s. If you’re looking for a mixed bag of cultural diversity, businesses, and characteristics, then downtown has it. The area features high-rise condominiums and lofts that are close to an active nightlife scene, museums, and restaurants. Encompassing roughly 100 square blocks from Seventh Avenue to Seventh Street, and Jackson Street to McDowell Road, there are numerous things to do and see and plenty of individual neighborhoods offering their own spin on the downtown energy. 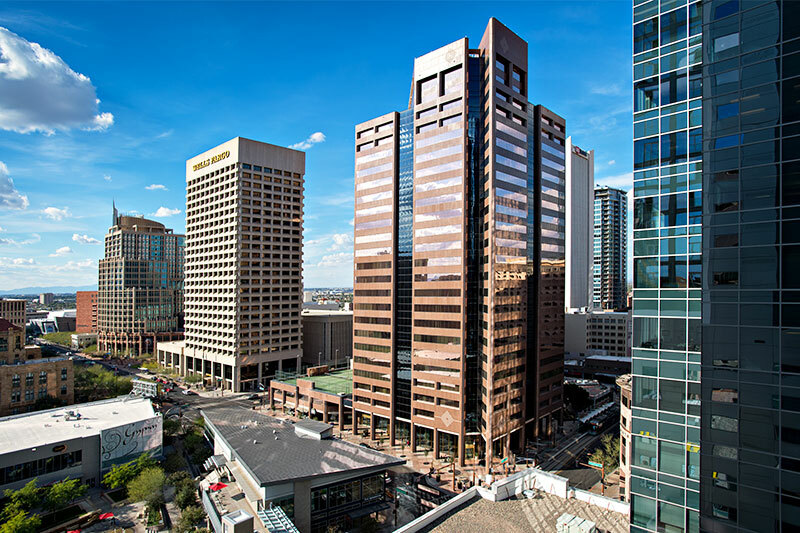 Newcomers to Phoenix often gravitate to the downtown area, which has college campuses, Chase Field, and an active nightlife. Since downtown is the center of commerce, expect to see office workers commuting to and from the neighborhood Anything goes in downtown and that is reflected upon the types of people and businesses you’ll run into making the area a collective kaleidoscope of urban life. The opportunities are boundless for nightlife activities. Symphony Hall offers residents and visitors a selection of elegant entertainment, including symphony, ballet, and opera performances. Also, the Orpheum Theater hosts a mix of live music, theater, dance, and national touring acts. However, if clubbing is more your style, Washington Street has a wide selection of dance clubs and lounges. Major sports events are cause for much celebration when they occur, and there are many street fairs, music events, and farmers markets. Also, the area has a variety of cuisines; Mexican, Japanese, French, German, and American creations will whet the appetite of the most devoted foodie. Orpheum Lofts is designed in Art Deco style in a historic building from 1931. Amenities include a pool, spa, and fitness center, which are located in the basement with a penthouse occupying the entire 11th floor. Famed for being the location of the opening sequence of Alfred Hitchcock’s “Psycho,” the one- and two-bedroom lofts are priced between $199,000 and $465,000 and range between 710 to 2,301 square feet. Lofts at Fillmore is a condo community beside the Roosevelt Row Arts District. The building was originally an apartment complex but has been converted into condos that feature one- and two-bedroom floorplans, ranging in size from 927 to 1,492 square feet. Though the first-floor units offer basements with bedroom options, the top two levels feature loft-style homes with prices between $241,000 to $275,000. Summit at Copper Square is a high-rise condo community featuring one- and two-bedroom floorplans. The urban loft-style residences feature hardwood floors, exposed ventilation, and floor-to-ceiling glass walls for optimal views. Amenities include an underground secure garage parking and an infinity pool on the fifth floor overlooking Chase Field. Homes range between 900 and 1,990 square feet with prices between $199,900 and $849,000.